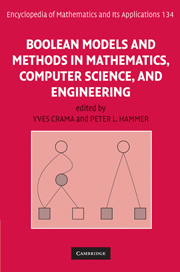 Constraint Programming (CP) and Boolean Satisfiability (SAT) are two related major topics of research in Artificial Intelligence. They have proved to be the most efficient techniques at the heart of general-purpose combinatorial problem solving, with application ranging from automation of logics, verification, planning and scheduling, both in academic research and industry. Over the years, the ICTAI conference has become a major forum for the CSP and SAT research communities for presenting new high-quality results. 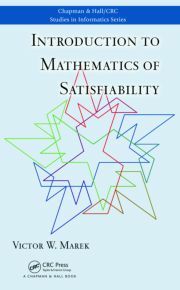 The special track SAT/CSP@ICTAI2017 is intended to be a forum for new ideas and techniques using satisfiability and constraint solving. It particularly welcomes new core solving techniques, extensions to other domains of AI and applications. Papers must be full papers up to 8 pages and follow the standard IEEE formatting instructions for conference papers (single-spaced, double-column, 10-point font size). All papers will be reviewed by at least three members of the program committee. Papers must report high-quality original work, be unpublished and not submitted elsewhere during the whole ICTAI review process. Each accepted paper must be presented by one of the authors and accompanied by at least one full ICTAI 2017 registration fee payment, to guarantee publication in the proceedings. All papers accepted in the CSP and SAT technologies special track will be included in the ICTAI 2017 main proceedings published by the IEEE Computer Society. Extended versions of the best papers are expected to be invited for publication in a special issue of an international journal after an additional round of reviews.